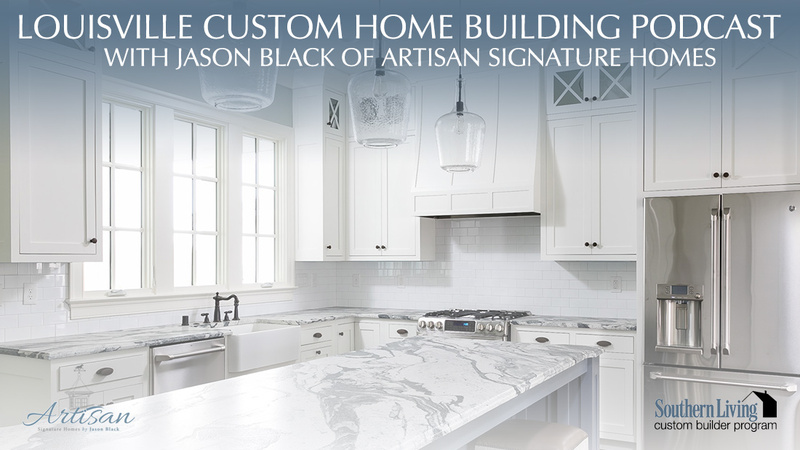 Artisan Signature Homes | Custom Home Builder | Louisville | Why Become A Norton Commons Custom Home Builder? Why Become A Norton Commons Custom Home Builder? Greg: We’re back. We made it last week with our introductory podcast. We made it. We’re here with week two. I have a couple questions for you as we move forward with your new venture. Are you ready? Greg: All right. I talked to you in the past and you love, it seems, Norton Commons. You like building there, you have a lot of homes there. What’s so special about Norton Commons? Or you going to keep building there? Are we going to see you? Greg: Back up real quick. Does that mean you drove by and you saw 100 homes or you actually were in charge of 100. Jason: I was in charge of building 100 homes over the last, gosh, seven or eight years in Norton Commons. Greg: Okay. I interrupted you. I apologize. Jason: … pools, grocery stores, restaurants. Jason: Yeah, there’s a YMCA as well. There’s a Jefferson County Elementary school in progress of being built. There a Catholic school there. Actually, you can live in Norton Commons and not have to leave the neighborhood. You can walk to work, you can walk and get something to eat. There’s even a post office there. All those amenities. Jason: There’s lots of boutiques. My wife is finally on-board. She’s building her own boutique in there. It’ll be open later this week as well. Jason: That’s right. There’s a builders guild. There’s probably 20 different builders. They’re checking your background, your financials. You’ve got to meet certain requirements, you’ve got to build a certain number of homes and you’ve got to build them in a certain way to be an active member of the builders guild. Greg: Your new company, Artisan Signature, you’re on board, you’re going? Jason: Yup, we’re an approved member of the guild. Jason: We’ve got some great stuff. We’re going to be doing Home-a-Rama 2016 in a great new section of, it’s called the north village. Norton Commons is consistent of a north village and a south village. The south is pretty much completed, the north is just getting started. I think Home-a-Rama will be great kick off. The north village is also one of the largest geothermal developments in the country right now. Every home in this north village will have to be heat and cooled with geothermal. Greg: I had no idea. Jason: Yeah. One of the things of homes being very close together is people would sit on their patio and have an air conditioning unit from the neighbor next door. With geothermal you’re using the heats temperature and cooling of the earth to heat and cool the house. All the compressors, all the condensing units are all in the basement. There’s no outside air conditioning units. It’s a highly efficient way to heat and cool a home. Greg: Do they have to set aside extra land for that? Because there are a lot of coils in the ground, right? Jason: Yeah, they’ll drill a series of loops in the ground – probably about 700 feet of loop per home. Some of the larger homes may require a little bit more. In the average home about 700 feet of loops. Greg: They can do it just going down, and not out under them? Jason: Yeah. In the north village most of the loops will be drilled either under the garage or in the backyard. Greg: All right. I’m getting focused on the technical side here. I had no idea this was going to be all geothermal. That’s really cool. Jason: With Home-a-Rama next year all those homes will be geothermal. All the builders in there, all the homes will have to go through the same design standards as typically all the homes that have been built in Norton Commons in the past. Greg: Then part of the appeal of Norton Commons is the live/work philosophy. Will the newer section you’re talking about have the same kind of community center, or the same kind of amenities that you mentioned earlier? Jason: Yes. The north village has a community center – it hasn’t been developed yet. The south village is still being constructed right now, some of the live/work. As soon as those are finished they’ll probably bring on some more of those live/works in the north village. Jason: We’ve built several of those projects. It’s a neat opportunity for a small business to operate their business on the first level. Some will actually live on the second floor. Then others will rent out the second floor as just and other source of income. Greg: Going forward, how active do you see yourself in Norton Commons? Is this going to be a one or two at a time place? Or are you going to settle in and have a real nice presence there? Greg: In a row. You mean literally next to each other? Or so that they’re in a row in the process of building one after another? Jason: Build them in a row. When you’re building on a tight lot, some of these lots are only 24 to 30 feet wide, so green space and privacy in the backyard is very limited. If I can buy five or six lots and I can control the lot next to me, I can have all the windows looking out to the side yard, and then the neighboring house would not have any windows. Or if they are going to have windows, they’ll be high up. The neighbors can have privacy amongst each other. Jason: That’s right. They’ll put windows wherever that best suits that particular house. Where I’m trying to think of outdoor space is so precious that lets conserve it, have it very private in the back. The front is very open, a lot of parks and green space. Looking to get that privacy in the back. Jason: Yeah. There’s definitely a learning curve. By building, gosh, over 100 homes in there, I’ve learned what works and what doesn’t work. Again, we’re affiliated with Southern Living. We do a lot of research, a lot of surveys and see what our customers want. We’re really trying to implement what the customer wants when we build these homes. We do a lot of speculative building. Building a home without a buyer in the hopes that what I build will be attractive enough to somebody to call home. Greg: This is along the line of what we’re talking about, you have to make it attractive. Thinking about their needs before you even meet them becomes of utmost importance. You have to know these people and what they want when you start buying the lots. Jason: Yeah. Again, we do a lot of research. We don’t just go build a house and hope somebody comes. Were very calculated. We’re putting a certain kitchen, a certain style in other and we’re trying to appeal to a certain buyer. Again, the cool thing about Norton Commons is I build a lot for retired couples, newly weds, established folks. Our price range goes from about $400,000 to over two million dollars for custom homes in Norton Commons. Greg: The clientele in Norton Commons is across the board. You’re telling me it’s young couples, it’s families, it’s older couples, it’s single people; it’s anything and everything. Jason: That’s absolutely correct. The cool thing, again, is you don’t have one area of the neighborhood that’s all the expensive homes and one area that’s the less expensive homes. They’re all intermingled. You can have a multi-million dollar home next to a $400,000 home. It’s still an expensive home, but it’s an entry level home in Norton Commons. You really get a sense of community. Everybody’s focused on living on their porches and engaging in their neighbors. I’ve had a few single ladies, widows, that have built with me in Norton Commons. Had they gone to a typical patio home, they may just sat in their home and just not be active. They moved to Norton Commons, have a porch, very active, certain clubs. Everybody’s so welcoming there. Greg: This is what draws you as a builder, right, as a professional? Like you said, you drank the water, you drank the Kool-Aid. You believe in the community that is Norton Commons. Jason: Absolutely. It’s a very progressive community, very involved. There’s a great neighborhood association. It’s probably the most well kept development that I’ve ever built in. Jason: They manicure the streets, they take care of certain aspects, all the green space are very nice. There’s lakes, there’s walking trials, there’s fishing ponds. They just built a brand new amphitheater. Greg: Maybe I need to move out here. You’re making it sound very nice. All right. You didn’t know this was coming, but I’m going to try to pin you down a little bit. You’re building in Norton Commons, can you think of one or two features of a house that you have coming up that you’re really excited about that I should go look at or I should wait for your next video or your Instagram? What is a little feature of a house that I should be looking for? Jason: We’ve got a new house that’s under construction and it’s going to have one of the coolest pantries that I’ve seen. Greg: I spend a lot of time in the kitchen, so this is right up my alley. Jason: A lot of times you’ll see a little closet for a pantry with a couple shelves. This is going to be a walk in pantry. Not necessarily a secondary kitchen. Costco is right down the street from Norton Commons, so you can go to Costco and load up with your large goodies and pile them all and organize them in the pantry. Greg: Is it the size, is it the way it relates to the kitchen, is there something in the pantry? I’m getting excited now, I want to go see this pantry. Jason: We’ll have a hidden cabinet door that the kitchen, you wouldn’t even know the pantry is a part of it. It’ll have a secondary full fridge in the pantry, a little secondary prep sink there. Lots of counter storage , so if you want to put your mixer and don’t have to worry about putting it in or leaving it out, you can set in on the counter in the pantry so it’s always ready to go. Greg: How long do I have to wait to see this? Jason: It’ll be ready in spring of 2016. Greg: All right, I can do it. I’m a little bummed, I wanted to run over there right now. All right, that sounds great. Any projects coming up that we need to now about? Jason: Yeah. We just took a deposit, we’re going to be doing Home-a-Rama in 2016. Jason: That’ll be fun. We’ll follow along that. We’re also going to be doing a Southern Living showcase home that’ll be in spring of 2016 that the readers and listeners can follow along through the journey of that entire process. Greg: Wonderful. I’ll see you next week. We’ll do another one. We might get into a few more nooks and crannies of some homes and talk about building homes for buyers and getting them though here and getting them excited. Jason: No, it sounds good. Looking forward to sharing some great new ideas and concepts we have coming up.